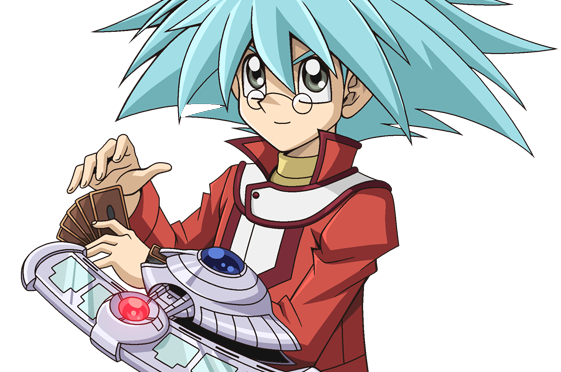 Syrus Truesdale – A decent duelist, though hindered by a great deal of self-doubt, Syrus’ journey toward strengthening himself provides sharp contrast to protagonist Jaden Yuki’s active determination. In the timeline of the Yu-Gi-Oh! GX anime, Syrus is the younger brother of Zane Truesdale who attends Duel Academy, residing in the Slifer Red dormitory along with Chumley Huffington and Jaden Yuki. From the onset of the first year, he faces Jaden in preparation for a Tag Duel, but, priding himself on finding a way to outdo his roommate, overlooks the abilities of his own cards. It was for this same reason that Zane forbade him from using the Power Bond card when they were younger, for Syrus was unable to cope with its potential drawback. In the subsequent Duel with the Paradox Brothers, Syrus fell for every single ploy the brothers set. Praised by Jaden, he regained his wits, and brought up the courage to activate Power Bond, which allowed the two to claim victory. During the second year, Syrus is given an opportunity to advance to Ra Yellow should he be able to defeat Missy. Feeling that he should not shoulder his brother’s legacy, Syrus gives his Power Bond card to Chazz Princeton temporarily before the start of the Duel, and is successful in overcoming Missy. Syrus would also develop a rivalry with Tyranno Hassleberry over which of the two is better suited to being Jaden’s best friend (in the Japanese version, it is over who has the right to call him “big brother”). They constantly argue and fight, prompting their repetitive separation by Alexis Rhodes, with their rivalry coming to a temporary halt when the two decide to duel to settle matters once and for all, though Tyranno allows himself to be defeated rather than tieing with Syrus after seeing the latter’s devotion to Jaden. As he observes his brother’s actions following his “rebirth,” Syrus notes Zane’s newfound disrespect for his own cards and opponents. He dismisses the barbaric persona, refusing to believe that his brother has sunk so low. Determined to bring his brother back to his senses, Syrus acknowledges the inevitability that the two of them will face one another. During the GX tournament, Syrus and Zane do duel, and they are hooked up to electrodes, just as Zane and Mad Dog were in their Underground Duel. Despite his best efforts and Jaden’s secret move to place Power Bond back into his deck, Syrus loses, but does not give up in hoping that his brother can be returned to his former self. 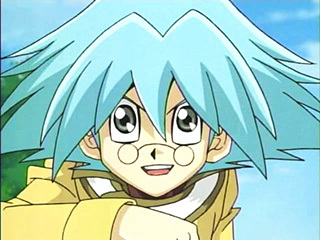 Shortly after the beginning of the third year at Duel Academy, Syrus advances to Obelisk Blue. As a result of Survival Duels being called for by Professor Viper, Syrus becomes self-conscious of his worthiness to wear the outfit of the elites, and sets out to prove himself. In the Japanese version, he also wishes to adopt his brother’s discarded title, and thus merit the name of “Kaiser Sho” (Kaiza- Sho-?). Inspired by Jaden’s match with Axel Brodie, however, he decides to remain in Ra Yellow, and sets aside his goal for the future. After the Academy is transported to an alternate dimension, Syrus becomes one of Marcel’s zombified students, though he recovers after the school is returned to its proper place. Feeling betrayed by Jaden upon witnessing his selfish actions in his search for the missing Jesse Anderson, Syrus chooses to take the role of an observer and not take part in events directly. To this end he follows Jaden and the remaining protagonists for the rest of the season, watching the final battles for the fates of the lost ones with Chazz’s spirit partner Ojama Yellow. During the fourth season, Syrus Truesdale decides to stay in the Obelisk Blue along with Atticus and Chazz. He’s seen with his blue jacket and is planning to stay there for the whole of the year, leaving Jaden alone in the Slifer Red dorm with none of his friends there. Syrus later duels Makoto Izimu, a practitioner of the Psycho-Style, a dueling philosophy that rivals the Cyber-Style, during which he overcomes his feelings of inferiority to Zane and becomes the Cyber-Style’s next successor. His last message to Jaden was calling him stupid (for leaving everyone) and to take care. Syrus has a crush on Dark Magician Girl. In episode 42, she shows up to Duel Academy/Academia during a duel monsters costume duel. At the end of the episode, her spirit gave Syrus a kiss on the cheek because he thought she was cute. In the original version of the series, he ends the majority of his sentences with “ssu” (an elision of “desu”). Furthermore, he calls Judai “Aniki,” meaning “big brother,” while referring to him as “Bro” in the English-language manga. Syrus plays a Vehicroid deck composed of the eponymous series of vehicle-like monsters. Syrus’ Vehicroids are generally lacking in terms of martial strength, but he supplements them through other cards and often combines them to form stronger cards. In addition, his Vehicroids have the benefit of possessing abilities that cover most strategic maneuvers, such as immunity to destruction, direct attacks and power increases. His most powerful monster, Super Vehicroid – Stealth Union, can take on the abilities of another monster equipped to it. In the fourth season, Syrus inherits Zane’s Cyber-Style cards, adding them to his deck.